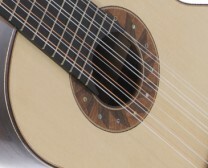 An extra long scale length of 735 mm twinned with a considerably heavier gauge stringing gives this instrument a more pianistic range than that of any conventional guitar. 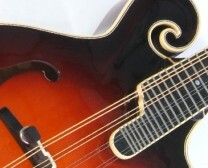 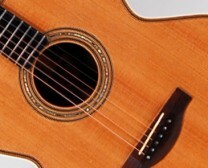 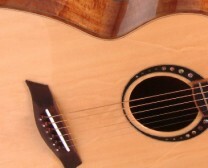 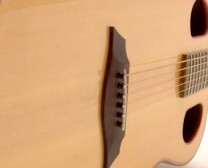 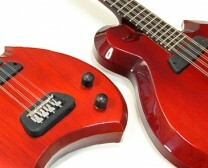 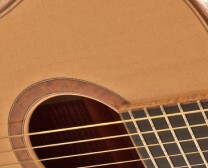 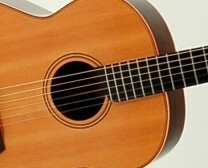 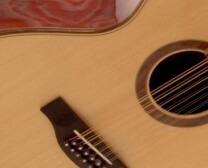 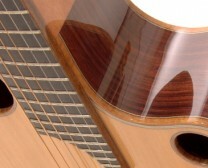 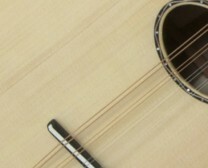 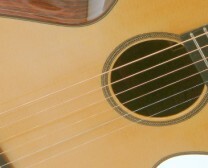 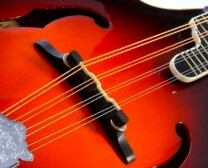 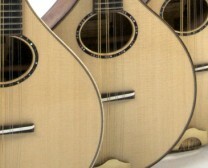 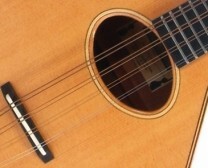 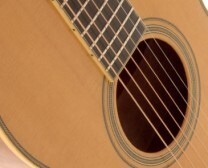 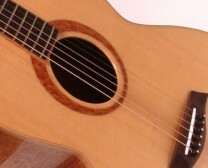 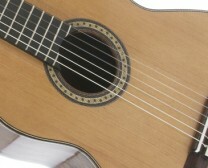 Upper bout duel sound holes provide a more powerful low response than the customary end of fingerboard positioning. 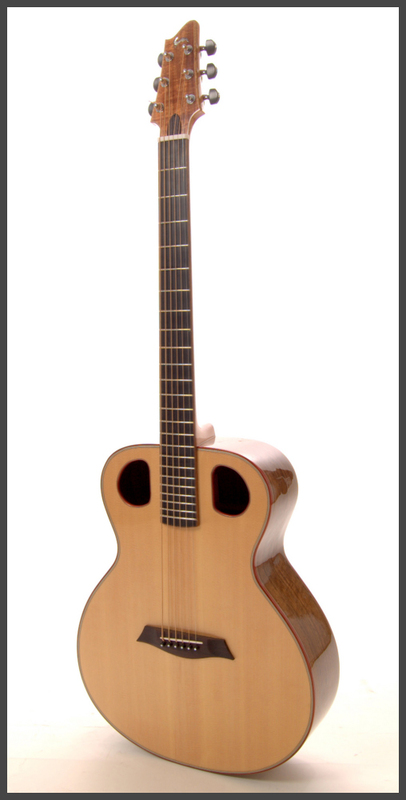 Use the audio player below to hear the instrument being played (click the play button to start).